The Causal Analysis approach is an effective tool for “Quality Control” and is used in many Software Development and Services engagements. Quality can be defined in different ways. Each one of us is responsible for the Quality of individual work units / work products. The basic principle of causal analysis is to find causes that you can treat rather than treating symptoms. We need to define the purpose for Causal Analysis. What is the objective of this exercise? This should be well defined when you start any project. For example – Some projects may have an objective to reduce System Testing defects for the next phase of a project or other projects would like to do this exercise to carry forward learnings for similar projects the organization may be executing in the future. 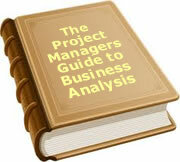 The Project Manager or Project Leader should define the system to collect this data. How are you collecting “System Test Defects”? Is it using Excel or using an Issue Management tool? Are you tracking critical details like Severity, Found in Phase, Source Phase? Providing the necessary training to team members to ensure correct data is entered in the system. The Causal Analysis schedule should be well defined during the Planning Phase of the project. Make sure that you are tracking the required data in the system in the most efficient way. This is done to find out major causes of problems. This is a critical step where we will identify problems on which we would like to do Causal Analysis. Team should open up to discuss all issues. Based on the action plan measure tangible and non tangible benefits. For example for the above problem statement we can track benefits for the next phase of the project. Plan for Causal Analysis for the next phase of the project or for the new project and fine tune the plan. Causal Analysis can provide, and has provided, substantial results in a number of projects. It is a relatively simple process to implement and will bring a focus on quality to any project team. Manoj Deshmukh has engaged in the management of several offshore and onshore projects as a Project / Delivery Manager/ Delivery Head. Manoj is a PMP certified Project Manager with around 13 years of experience in Engineering and Project Management. He has managed many projects / programs across the globe in US, UK, Europe, APAC. He has managed a number of different project types including Product Development / Services, T & M / Fixed Price. To date, 32 people have rated this article. The average rating is 3.63 - Add your rating. Just select a rating and click the button. No other information required.